The Gray Building on the northwest corner of State and Liberty streets NE underwent an extensive remodel in 2018, the latest chapter for a building that continually has been adapted to serve a changing Salem. It has been the home of Salem city government, a justice court and district court, the YMCA, doctors, a Painless Parker dentist office, a hardware store, the chamber of commerce, a restaurant and bar, and many other businesses in its more than 120-year history. A 1959 Capital Journal story said the construction of the building in 1891 encouraged the growth of Salem away from Commercial Street, and for the following 40 years, most of the new commercial buildings in Salem were constructed along Liberty, State, Court and High streets. 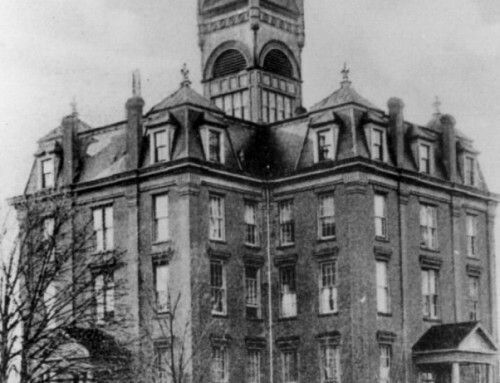 The first iron columns for the Gray Building were set in position on May 27, 1891. The Gray Building was the home of Gray Bros., a hardware and implement store. 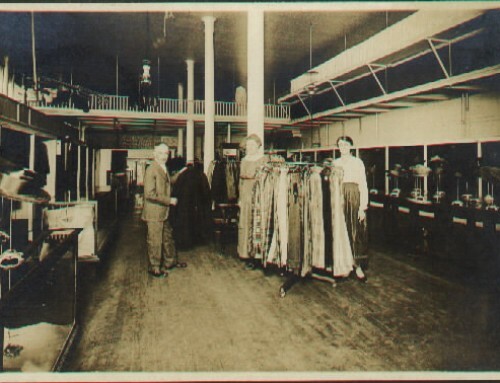 The hardware store reportedly opened Oct. 19, 1891. Other early tenants in the building included the Oregon Land Company and the Willamette Valley Fruit Growing Co. The Gray Building is seen between 1960-70. Bishop’s, Montgomery Ward and Miller’s department stores are seen down Liberty Street NE. Photo Source: Willamette Heritage Center, 2004.010.0519. In 1893, the building became home to city government, with the first city council meeting held in the Gray Building on March 21, 1893. Salem City Hall, which was at the southwest corner of High and Chemeketa streets NE, was constructed between 1893-97. The building also served as the second home of the Salem YMCA, but the organization quickly outgrew its quarters and moved again in the mid-1890s, according to a March 28, 1931, Oregon Statesman story. The building’s first big remodel happened in 1909, after Charles Gray sold the building. 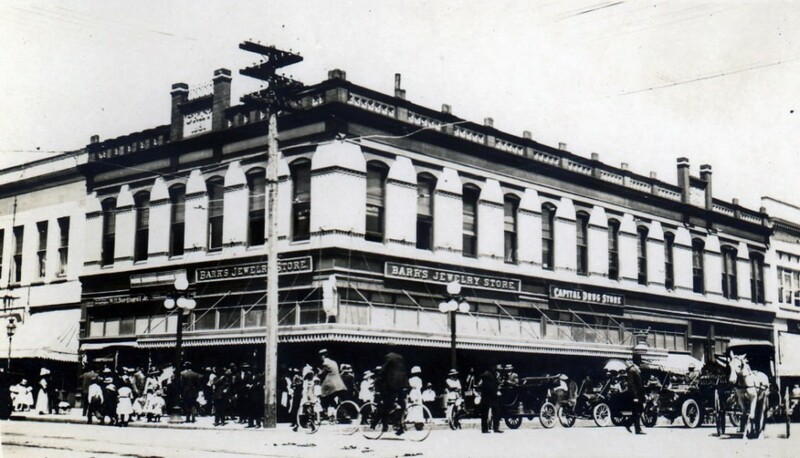 New stores such as the Barr Jewelry Store were added. The Gray Building made news for a troubling reason in June 1912: a portion of a human skull was found in the attic. The partial skull was found in a kettle of quicklime. 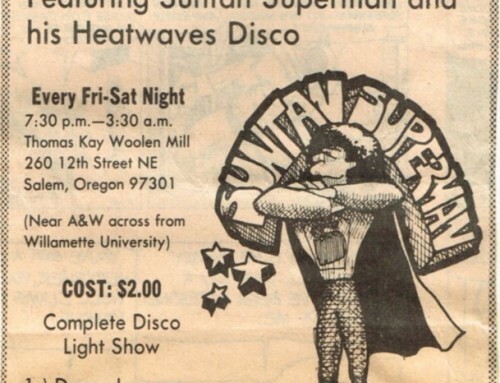 The Oregon Statesman presented theories that were considered by the coroner, but the newspaper didn’t report whether the mystery was solved. In the 1920s, Salem’s justice of the peace moved into the building. And the Gray Building later became the site of a district court in 1947. Court proceedings left the building in July 1950. 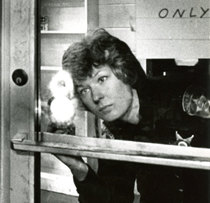 Since the building was home to a variety of businesses, there was a risk of burglaries, much like today. In April 1936, a would-be thief broke into the wrong office: the courtroom. In recent years, the building was known for being the home of the Brick Bar & Broiler, which opened in August 1993, according to reports. It closed at the end of 2017 ahead of the remodel. It also was home to the Coffee House Cafe, which closed in 2010. Amadeus restaurant, which is in the former on the Liberty Street side, survived the recent construction and remains in the Gray Building. 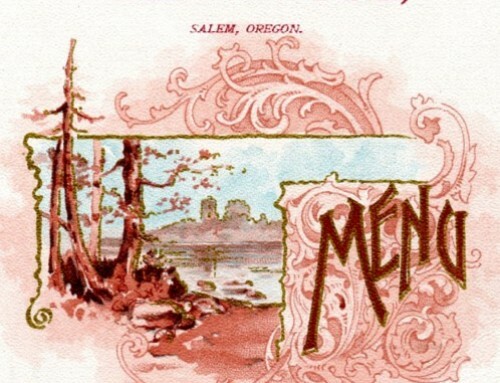 This article provided special to the Willamette Heritage Center by Andy Zimmerman. Contact Andy Zimmerman at SalemRewind@gmail.com.